Inside the Metro Center Metro Station is a 15 foot by 60 foot mural depicting many of the popular tourist sties in Washington DC. This mural is inside the entrance at the northeast corner of 12th and G Streets NW. It is located along the wall with the entrance from the Metro Station into the Macy’s Downtown-Metro Center Department Store. Fare card machine stand against that wall, and the mural is above those fare card machines. 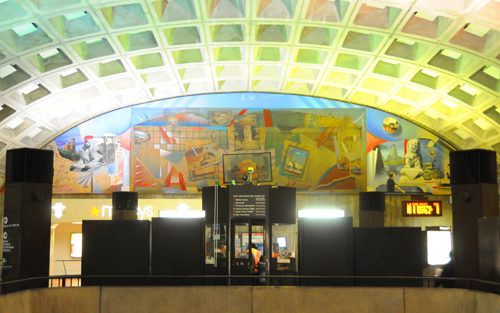 Although this mural is located inside the Metro Center station, it is located in the area between the outside entrance and the turnstiles where the fare cards are read as riders enter the station. So it is possible to view this mural without having to pay a fare to ride the Metro. 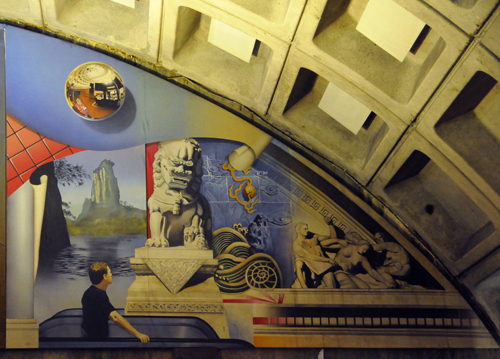 At the same time, Metro Center has four entrances, and it is possible to view the mural without paying a fare only by entering the 12th and G Streets NW entrance. 12th and G Streets NW (Northeast Corner) – The mural is located at this entrance. The image below is of the left more or less triangular shaped portion of the mural. It depicts carved figures and fossils from the Smithsonian Institution Natural History Museum, the Smithsonian Institution’s Castle (its first building), a noble lion guarding the Columbus Statute located near Union Station and Union Station itself. The large rectangular piece that constitutes the center of the mural incorporates many images from around Washington DC. But interestingly there are two hands painted at the top of the mural. Each hand forms a letter from the ASL, American Sign Language, alphabet. 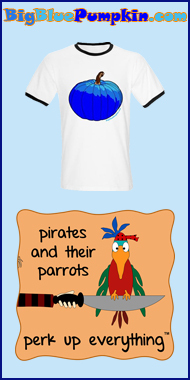 The letters are U and P, and they are painted in an arc of blue that may represent the sky. At the sides of the hand signs for UP are arrows that point to the right and left, directions that would take a Metro rider to street level. Just below the UP is a painting of the Dupont Circle Fountain. To the left of the fountain is a painting of a panda from the Washington Zoo. To the right of the panda and beneath the Dupont Circle Fountain is a painting of the Thomas Jefferson Memorial. To the right of the painting of the Jefferson Memorial is a painting of the Washington Monument with cherry blossoms bursting forth. Finally, to the far right of the center rectangle is a painting of the sculpture of Abraham Lincoln found in the Lincoln Memorial. The right triangular portion of the mural has some interesting images. At the top is a painting of one of those fisheye type mirrors. Visible in the reflected image is the Metro attendant’s booth complete with attendant sitting inside. Toward the bottom of the reflected image is a person in what looks like a pink or rose colored winter coat. A third person is standing over near the turnstiles. At the lower edge of the triangle is a man at the top of an escalator. Between the fisheye mirror painted at the top and the escalator rider at the bottom is an Asian style lion or dog and some figures painted to look like carved marble. This mural was painted in 1988 by G. Byron Peck who has painted a number of murals in Washington DC as well as others around the world. 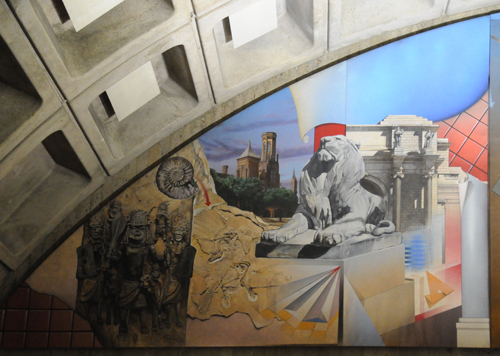 This mural is located inside the Metro Center Metro Station at the 12th and G Streets NW entrance. Click Here for Google Map showing the location of the 12th and G Streets NW entrance to the Metro Center Metro Station. Closest Metro Station: Metro Center on the Blue, Orange, and Red Lines is the nearest Metro Station to this mural (as the mural is inside the Metro station). 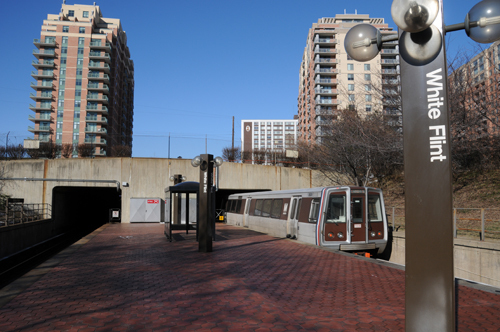 The White Flint Metro Station is located in an area that is experiencing substantial development. Montgomery County is working with interested parties to create a walkable, pedestrian friendly area surrounding the White Flint Metro. Development is to include a mixture of high rise and other structures for offices, retail and residential uses. 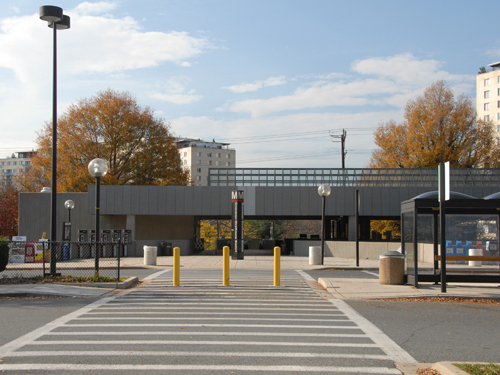 The White Flint Metro Station is located at 5500 Marinelli Road, North Bethesda, MD 20852. Click Here for Google Map showing the location of the White Flint Metro Station. 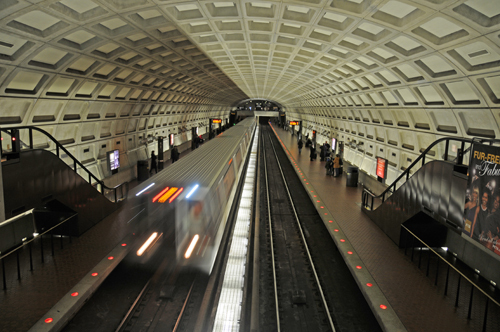 The Dupont Circle Metro Station is located in the center of the Dupont Circle Historic District. This station provides access to some of Washington DC’s liveliest nightlife as well as an eclectic shopping area and many restaurants. The station has two exits. 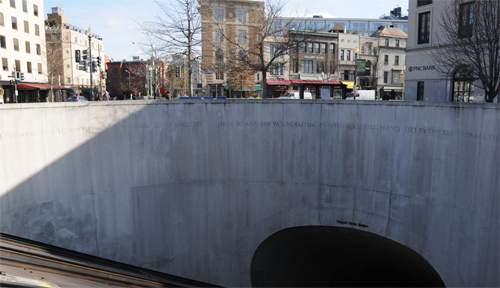 The one shown in the image is of the north exit at Q Street and Connecticut Avenue, NW. This exit is not easily visible from Dupont Circle. Click Here for Google Map of the Q Street NW exit from the Dupont Circle Metro Station. The other exit is located on the south side of Dupont Circle along 19th Street, NW, and this exit is easily visible from the south end of Dupont Circle. Click Here for Google Map of the 19th Street, NW exit from the Dupont Circle Metro Station. Grosvenor-Strathmore Metro Station is located in Bethesda MD. This is a suburban Metro station located within close walking distance of the Mansion at Strathmore, the Music Center at Strathmore and the Strathmore sculpture garden. 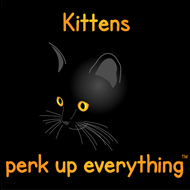 It is also within reasonable walking distance of stores and restaurants. The Grosvenor-Strathmore Metro Station is located at at 10300 Rockville Pike, Bethesda MD 20852. Click Here for Google Map.